Master Patrolman Jeffrey King was recently honored for his life-saving efforts. Master Patrolman Jeffrey King was recently honored for his life-saving efforts after he saved an 18-year-old woman who had been stabbed 15 times. Four other first responders from Allenstown, New Hampshire were also recognized for helping save the life of the victim. The woman had been stabbed repeatedly and left for dead on the side of the road when passing motorists saw another woman get into a red car and almost run the victim over. They called 911 and King was on the scene a short time later. 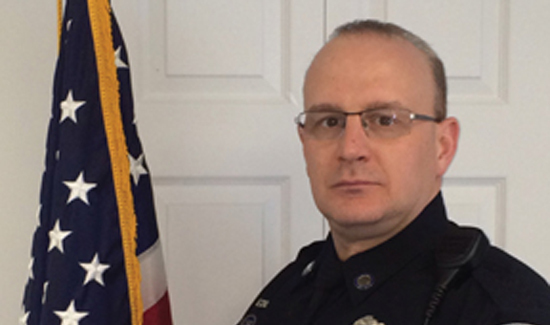 Thankfully for the victim, Officer King is no stranger to life-threatening injuries. He served 10 years in the U.S. Army and 10 years in the Army Reserves and has substantial training in battlefield trauma and lifesaving. 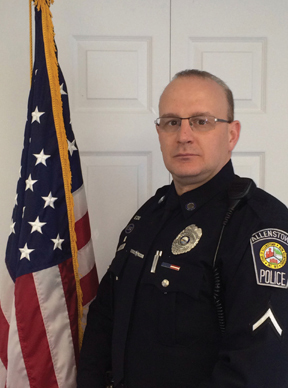 The officer used QuickClot, a hemostatic agent to slow the bleeding, said Allenstown Police Chief Paul Paquette. “He did a very professional job and served a substantial role in saving her life,” Paquette added, discussing the Jan. 26 incident that led to the arrests of 18-year-old Samantha Heath and 22-year-old Kyle Buffum. King credited his training. “It’s not something you experience everyday, even as a police officer, but training and adrenaline kick in and you do what you’ve been trained to do,” King told reporters. King, a nine-year veteran with the Allenstown Police Department, was recognized for his efforts with the department’s Lifesaving Award. In addition to King, the two unnamed Good Samaritans who stopped to help the victim and call 911 were recognized, as well as Allenstown firefighters/EMTs.